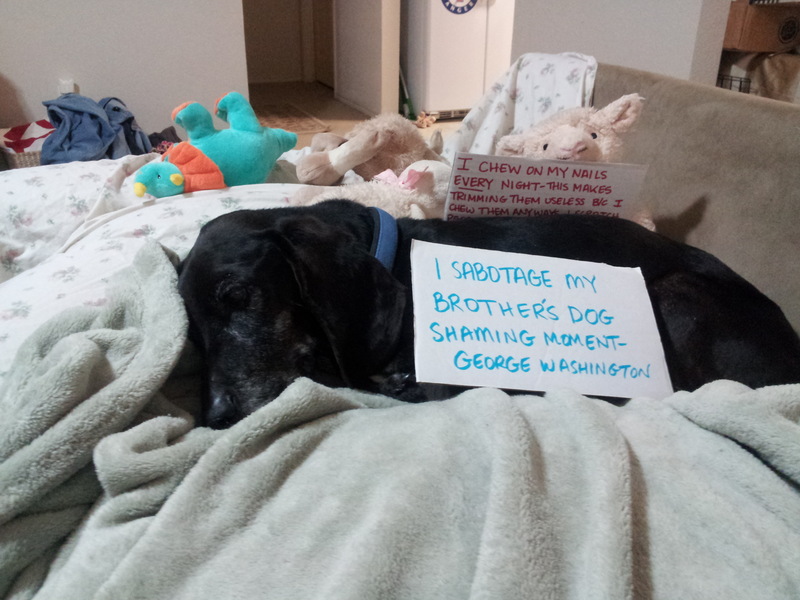 George Washington already had a few dog shaming moments, but when he saw I was trying to get his brother to pose with a sign, he came over and promptly sat on Benji’s sign and pushed him off the couch! What a camera hog! Posted July 11th, 2013 .
so is Benji short for Benjamin Franklin? Once a star it takes great effort to keep others out if your limelight!! looks very comfortable, and he thought he should have a sign too, he didn’t want to miss out on anything.